Mistakes are inevitable, especially with a young team. 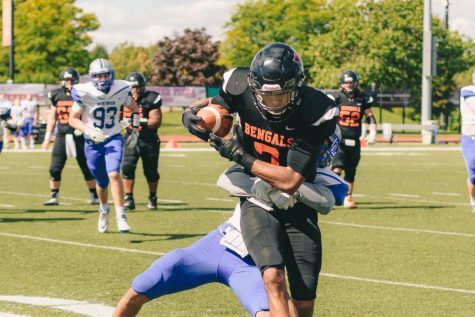 The SUNY Buffalo State football team will certainly have a lot of youth on the field this season as they lose a host of starters from the 2017 team. 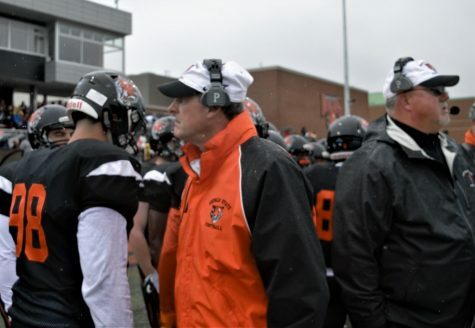 Coach Jerry Boyes hopes that his team can get those mistakes out of the way early. 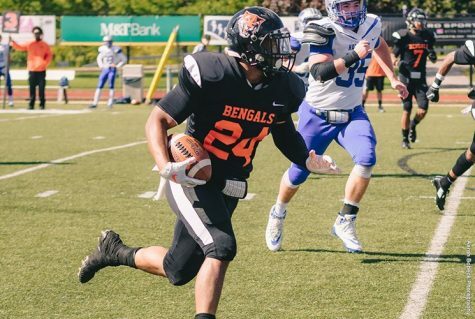 Last season, the Bengals went 6-5 (3-4 Empire 8) with an appearance in the ECAC Clayton Chapman Bowl, where they fell 35-20 to the United States Merchant Marine Academy. 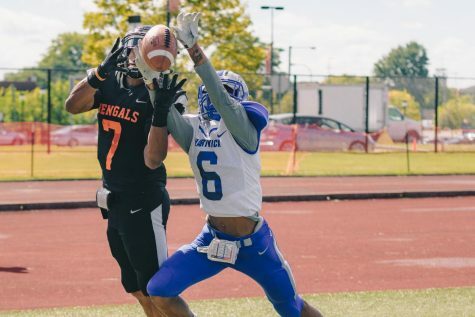 Buffalo State graduated an ample amount of production and leadership in the spring, namely QB Kyle Hoppy, First-Team All-Empire 8 DL Khalil Sommerville and Second-Team All-Empire 8 LB Bart Mazzara. Most of the Bengals’ biggest wounds last season were self-inflicted. 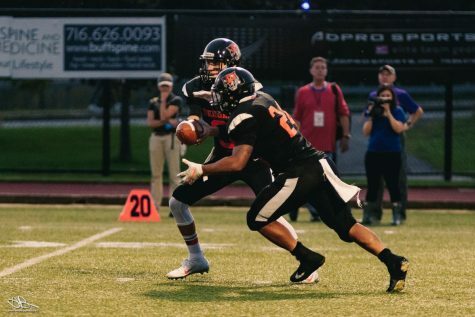 Buffalo State led the Empire 8 conference in penalty yardage averaging 82.4 yards per game in 2017. 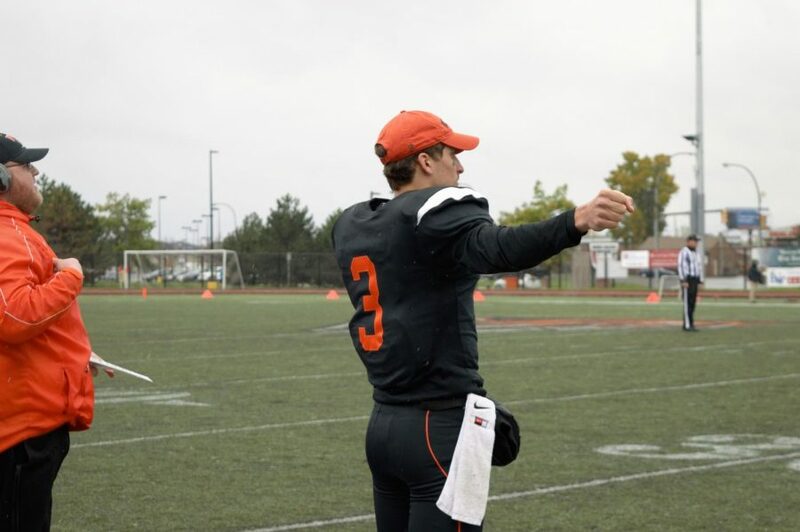 Although it’s his first season taking over as starting quarterback, senior Kevin Torrillo is considered a veteran on this young team after appearing in four games last season. Torrillo threw for 366 yards, two touchdowns and three interceptions in 2017. 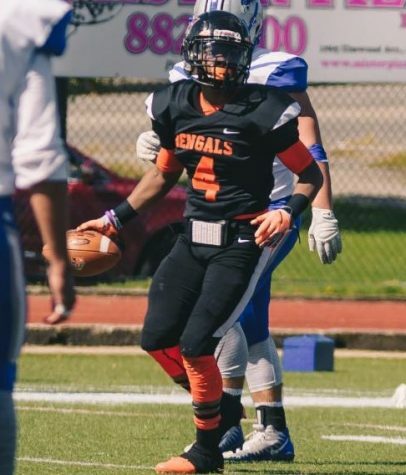 Senior Kevin Torillo will start at quarterback for Buffalo State in 2018. Senior captain Dupreme Robinson will be expected to take the spot of Bart Mazzara at linebacker. Robinson had 24 tackles in 2017. 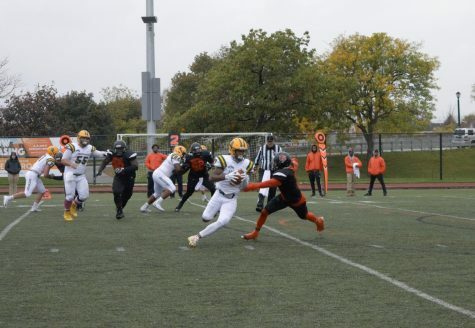 Boyes is also expecting junior DB Elloheim Tucker, who had 23 tackles and a pick last season, to be a key contributor on the defense as well. The Bengals are looking for new ball carriers as last year’s top two rushers are gone. They’re expecting sophomore Paul Tonic to be the lead back. Senior transfer RB Martin Bailey has impressed the coaching staff this preseason and will get some carries as well. There will also be some new faces on the outside as the Bengals graduated their top three receivers from last year. 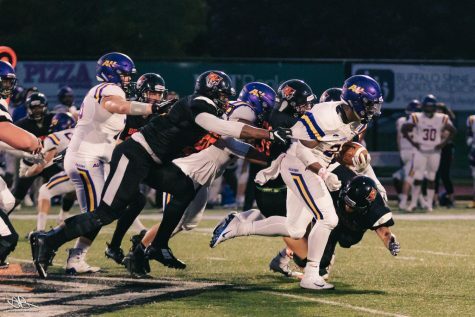 They will look to seniors Jamar Rutledge, Jordan Evert, junior Di’Jon Stone and sophomore Faruq Shittu to step up at wideout. Rutledge had 18 catches for 280 yards in 2017, but his main contributions came from special teams. 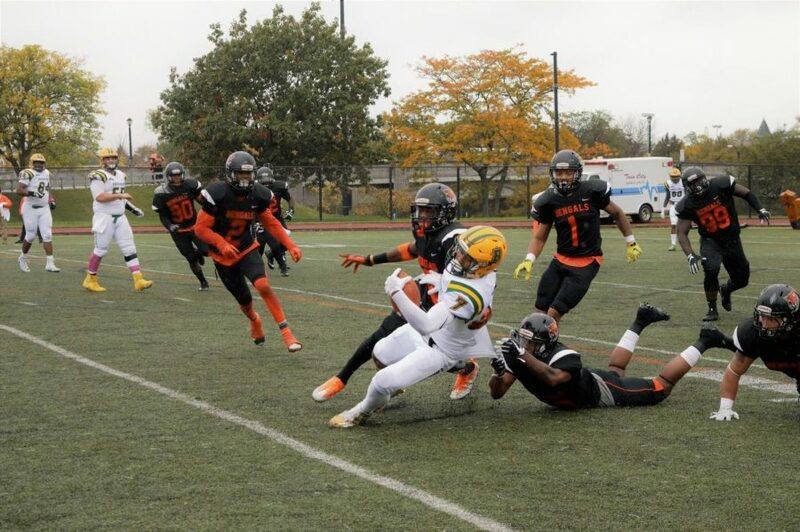 The wideout led the conference with 587 yards and a touchdown as a kick returner, earning him an All-Empire 8 First team (Returner) selection last season. Junior captain Dave Lauer and senior Marcos Watkins will back on the offensive line. Senior defensive lineman Clifton Brown gets another year after suffering an injury in the first game of 2017. Brown had 44 tackles, including 11 for a loss in 2016. The defensive backfield has already taken a hit as junior Darren Thompson went down with an injury just a few days in camp. Thompson played significant time in both his freshman and sophomore seasons, with 93 tackles and an interception in 19 games. The schedule is doing the Bengals for no favors in 2018 with only four home games. They begin the season with three straight road games – the first two out-of-state. 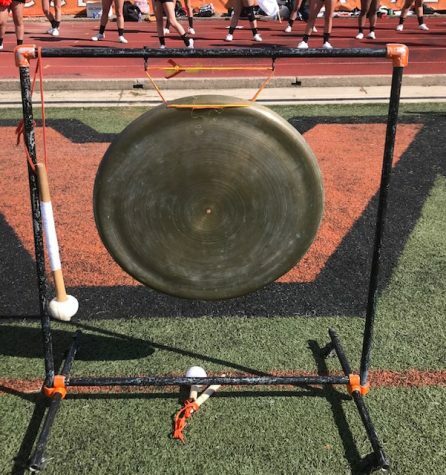 Before they can worry about getting wins, the Bengals must first take care of the basics as they prepare for their 2018 campaign.